Only you can decide whether a bad credit loan is right for you, but how you make that decision is crucial. Whatever the outcome, you want to be comfortable with the choice you have made, knowing that you fully understand all the pros and cons and have evaluated your situation carefully. Here at Money Guru, we have lots of expertise in dealing with lenders and borrowers, so we’ve put together this handy guide, to help you in the decision-making process. A bad credit loan can feel like a scary prospect. They usually include higher interest rates because the borrower is seen as a high-risk lender due to poor credit history. Here are some of the things you should consider before filling out that application. Trying to rebuild a bad credit score can feel like an impossible task. Your options are usually limited, but the only way to increase your rating is to have credit and successfully manage your repayments. So how do you get a loan, and which one is right for you? For a comprehensive look at what might be available to you, check out our guide on types of bad credit loans. Can I afford to pay back this loan? Consider if the cost of the monthly repayments might put you in financial hardship further down the line. Especially around Christmas or birthdays, when you’re likely to be spending more. One of the reasons lenders reject loan applications is because the borrower cannot afford it. Lenders will carry out a full check on your income and expenditure, so they will be able to assess if you can afford the loan for the set term. As every application you make is recorded on your file for other lenders to see, it’s a good idea to do your own research on your finances before making any application. There should be some flexibility on how long you take to repay a bad credit loan, and this will affect the amount of interest you pay back. Is it worth paying back more overall, over a longer term, with lower monthly repayments? Or would you be able to pay back a higher amount each month, over a shorter period and pay less overall? Before taking out a bad credit loan, it is wise to have your overall finances in the best shape possible. Look carefully at your incomings and outgoings. See where you can save and consider if you could feasibly save up the amount you are going to borrow and then pay for whatever it is you need the loan for at a later date. Even if you still take out the loan, it’s best to have a budget in place to make sure you can afford the repayments. 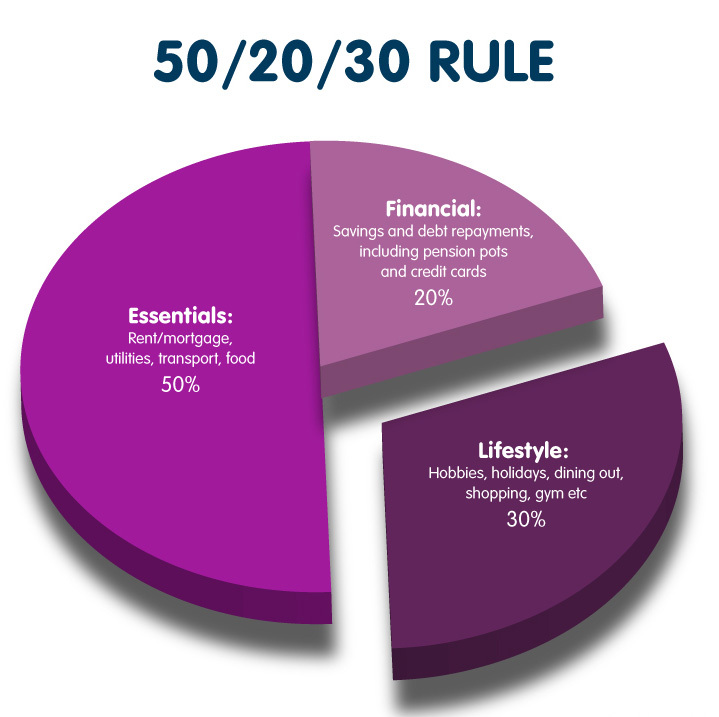 One simple way to budget your money is the 50-30-20 approach. 50% of your income should go on things you need. That’s your essential costs, such as repaying loans and paying for your living costs like food, energy and travel to and from work. 30% of your income should be used on things that you want, such as holidays, going out with friends and little luxuries like chocolate and alcohol. This could be an area you spend less on while saving to cover the cost of an essential spend. Finally, 20% of your income should be going towards savings and debt repayments. This will undoubtedly help you in the future, whether that’s because it prevents the need for a bad credit loan, pays for some emergency repairs or allows you to put a deposit down on a home. It’s always good to have this “rainy day” fund because you never know when you might need it. A good rule of thumb on how much you should save, is to take your monthly wage and multiply by six. This would give you a buffer of six months were you to lose your income. Once you have a budget such as this in place, can you fit the repayment of a bad credit loan into it? If you can, then it could be a good option for you. Is there any other form of credit available to me? There are other forms of credit available to you, which you can read more about in our guide on types of bad credit loans. There are lots of bad credit loans available, but it’s advisable to thoroughly do your research before making any applications. Although you may need the money quickly, it is best to weigh up all your options, taking into account your personal circumstances. The level of APR (Annual Percentage Rate of Charge). Can you get a lower interest rate elsewhere? How will this interest rate affect the rate at which you can pay back this loan? Is there some flexibility in the loan and how will this affect your credit rating and the overall cost of the loan? If your income fluctuates, it is good to know whether the lender will allow you to skip a payment or increase payments and whether you will be charged for doing this. In 2016, £768 million was lost to financial fraud in the UK. One of the most common financial scams prayed on those looking for quick loans by asking for a high up-front fee in return for the loan and then disappearing. You can read more about how to protect yourself against loan fee fraud in our types of bad credit loans guide. Make sure you find a reputable lender. For help with this, go to our MoneyMatcher now. A secured loan means guaranteeing repayments against an asset, such as a house or car. An unsecured loan will often have higher interest rates. There are also options like a guarantor loan which can help those with a poor credit record. If you have an unexpected cost and a poor credit history, a bad credit loan can be a good option for you. To make sure you are choosing the right loan for you, go to our MoneyMatcher to compare loans now.